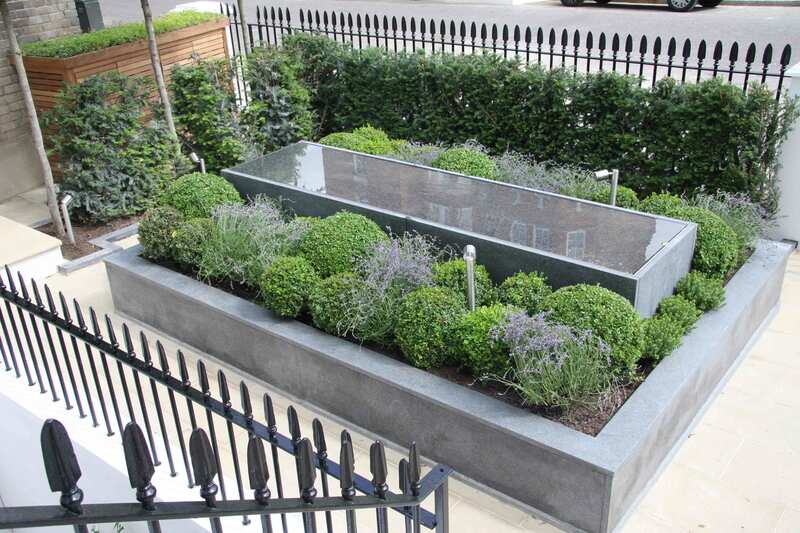 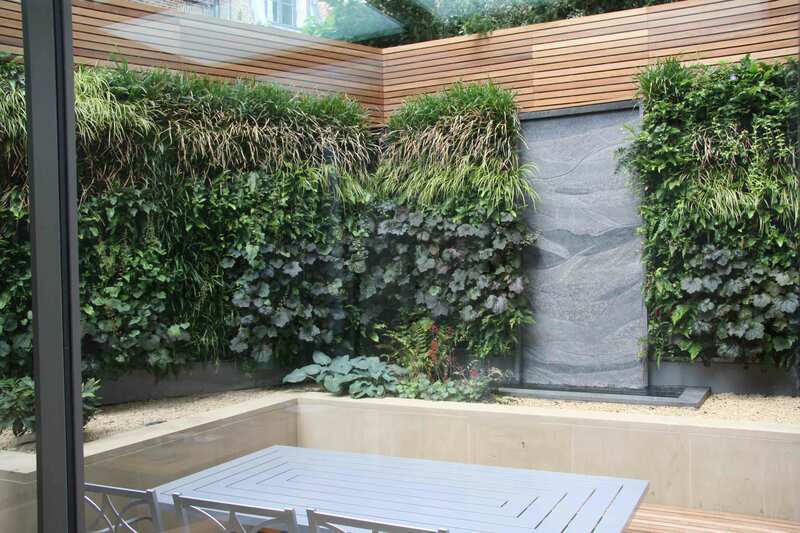 The client brief for the front and rear gardens of this property on one of London’s most prestigious streets was to create engaging, beautiful spaces that could be appreciated at any time of year. 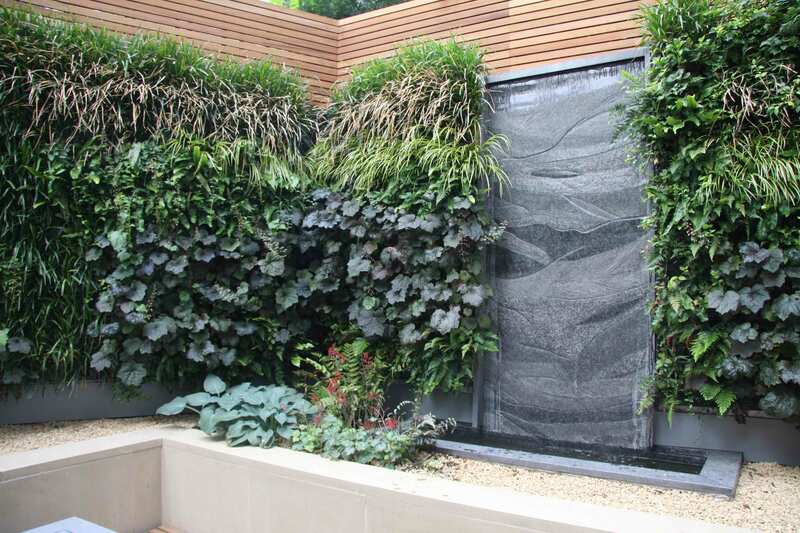 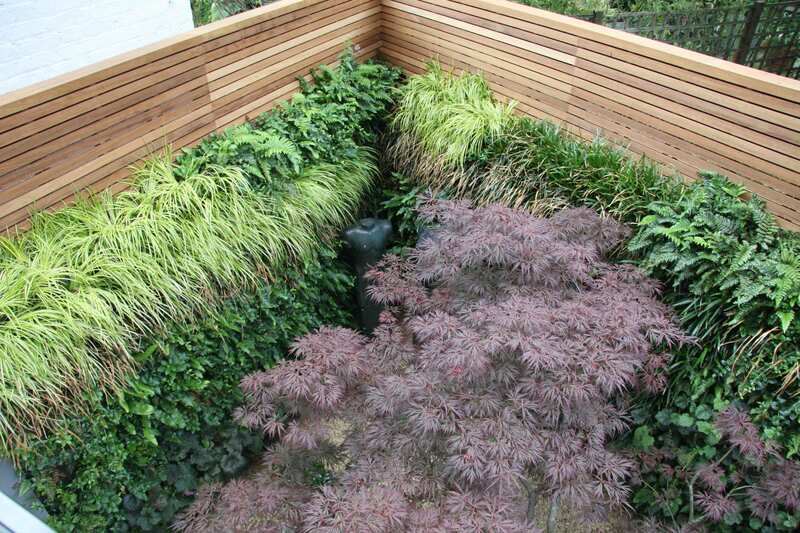 The rear garden features an extensive living wall to create a verdant backdrop, a bespoke vertical water feature and graceful Japanese acer tree. 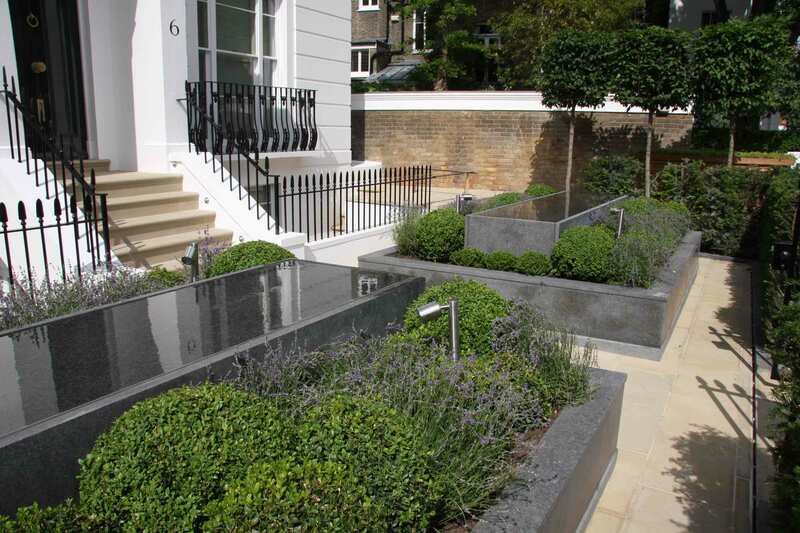 The front garden centres on two linear water features, creating a peaceful ambience and ‘kerb appeal’.